September 19, 2018. The 2018 edition of the 5 Km Masters Cross Country Championship comes to Delaware Park in Buffalo NY on Sunday, September 23rd. The site of numerous Cross Country Championships, it has hosted such events since the 1901 Pan-Am Expo. The races will be run on a 2500 Meter all-grass loop with each Masters Championship race covering two loops. There will be four Masters races, Men’s 40+, Men’s 50+, Men’s 60+, and Women’s 40+. Cash Prizes go to the winner of each of these 4 Championship races. Cash prizes and medals will be awarded to the athlete with the highest age-grading score in each of the 3 Men’s races and to the top 3 athletes in the Women’s race. Team prizes and medals will also be awarded. Because there are 3 separate races for Men, the usual rules on ages govern. 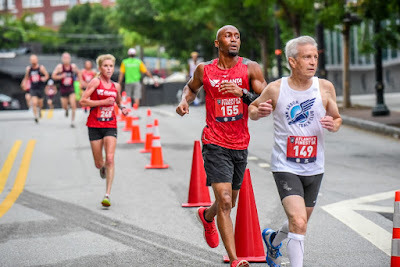 As an example, a 52-year-old man who is to run on a 40+ team must run in the 40+ race, and thereby forfeits any opportunity to win an individual Men’s 50-54 medal and to accumulate points toward the Masters Grand Prix standings in his age division, 50-54. There are no such complications for the Women who all run in a single race; a 52-year-old woman may score for a 40+ team and win a 50-54 age division medal because she is in the same race as all other competitors for those prizes. The Men’s 60+ race goes off at 11 AM, followed by Men’s 50+ at 11:30 AM, Women’s 40+ at 12 Noon, and Men’s 40+ at 12:45 PM. The Awards Ceremony and Party are at the Park starting at 1:30 PM. The weather forecast calls for scattered thunderstorms to come through on Friday. That leaves Saturday cloudy and Sunday partly cloudy with temperatures in the low 60’s for the Men’s 60+ race and gradually rising to the mid-60’s for the 4th race. With reasonable luck, any sogginess from the predicted 0.19 inches of rain, will have gone away and the course conditions will be as good as the weather—near perfect! Over 200 Masters Runners will converge on Delaware Park to contest the championships. First let us look at the contests to win each of the four races and then the Age-Grading. All previews and predictions are based on the entries known at the time of going to press. I will follow the order of competition. 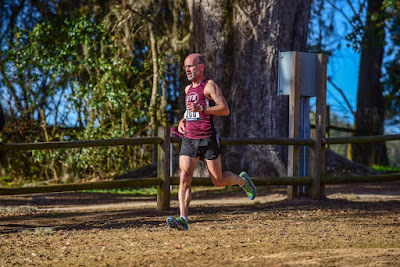 If we look to Cross Country Nationals at Tallahassee earlier this year for guidance, we find that the top 2 Men’s 60-64 runners from that race, Rick Becker and Ken Youngers, are not entered, but several other top-8 finishers from that race are entered: Mike Anderson 3rd, Reno Stirrat 5th, Kevin Dollard 6th, and Nate Anderson, 8th. 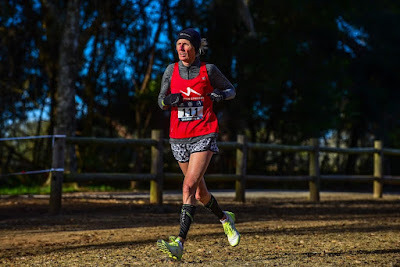 Mark Rybinski, who was in the top group before being sidelined by a recurring hamstring issue over the last year and a half or so, is running well again and could factor into the race for first. 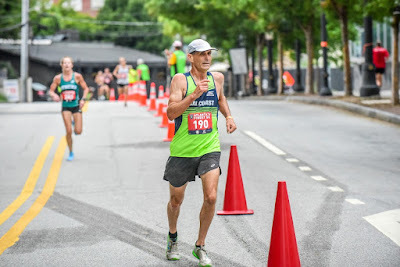 Guidance might also come from the Masters 5K Road Championship in Atlanta. As that race is more recent it should provide a better snapshot of current fitness, keeping in mind that the best road runner is not always the best Cross Country racer and vice versa. The story is similar with a few wrinkles. Among those entered here, Anderson came in 7 seconds ahead of Stirrat, who was followed by Timothy Riccardi and Steve Brumwell, 11 and 19 seconds back. Rybinski was 5 seconds behind Brumwell, followed 12 seconds later by Dollard and N. Anderson a second back. But Brian Nelson from Cal Coast came in almost half a minute ahead of M. Anderson. 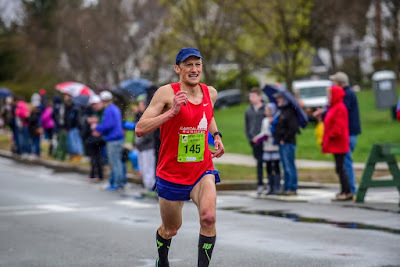 Robert Reynolds, who ran 31:32 in the Rothman 8K last fall and has a 40:53 10K this year, could factor into the podium race as well. We should not ignore Gene Dykes, from the 70+ division. 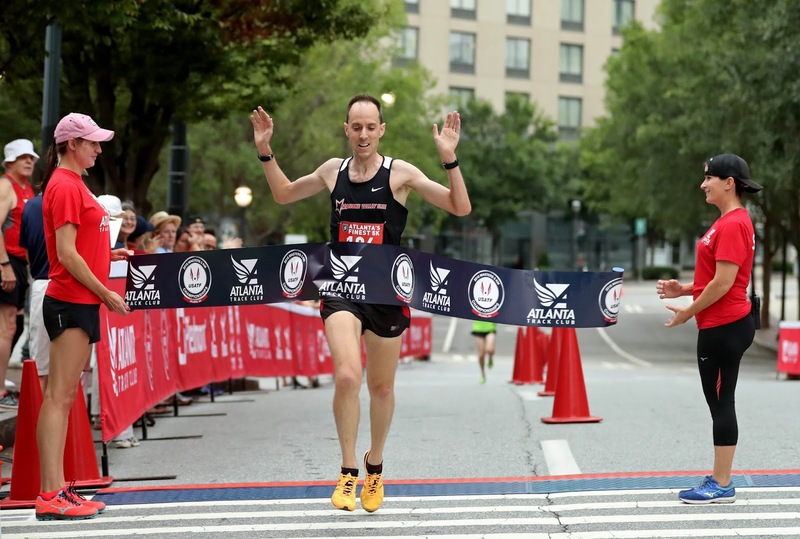 At the 5K Road Championships in Atlanta, he was only 6 seconds back from M. Anderson and a second ahead of Stirrat. Although Dykes runs in lots of long-distance trail races, as far as I know, this will be his first foray into a national level Cross Country event. He has run in a local Philly Cross Country race and in the Delaware Open XC race a few years ago. But Dykes seems equally happy on every surface; there is no reason to think Cross Country will phase him. He should land just off the podium or on it. Using the same approach, consider first Cross Country National’s results for the 50-54 group. Ordinarily we would just write in the top runners for the Greater Springfield Harriers but so far none of them are entered. With the Masters Grand Prix tittle all wrapped up, they can pick and choose their races. Cal Coast’s Thomas Schumann was the highest finisher that day who is entered today. GVH’s Dale Flanders was 23 seconds back. What about the recent 5K Championships in Atlanta? Any clues there? Adam Engst finished 42 seconds ahead of Flanders who finished 7 seconds ahead of Schumann. That is the only extra information from there. What about Club Cross Country last December. From there we learn that Alan Evans from the 55-59 division finished 23 seconds ahead of Schumann who came in about a minute ahead of Flanders. The most recent Championship is the 1 Mile Road Championship in Flint. From there we can see that Charles Novak has some fast wheels, finishing 2nd overall and first in the 50-54 age division. 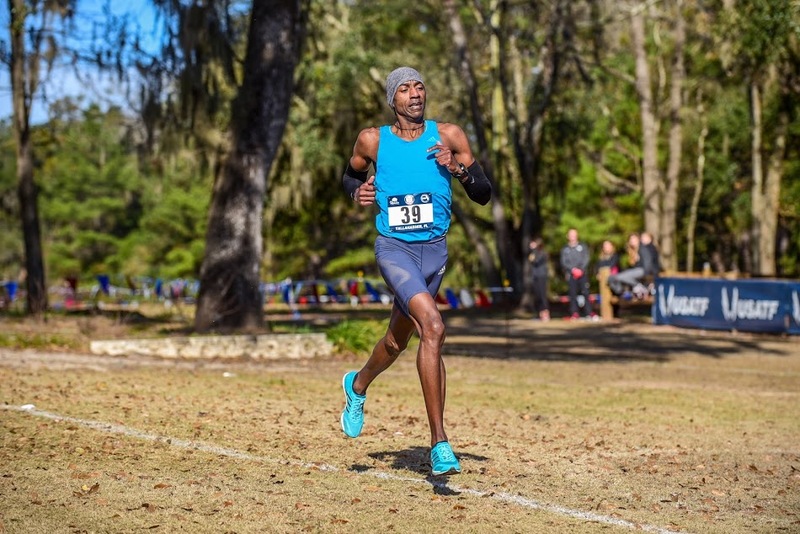 Perhaps more significantly, he won the 800 Meter Run Gold Medal for the age division at Malaga, Spain in the World Championships last week, clocking 2:03.42! If he is anywhere near the front with a couple of hundred meters to go, watch out! 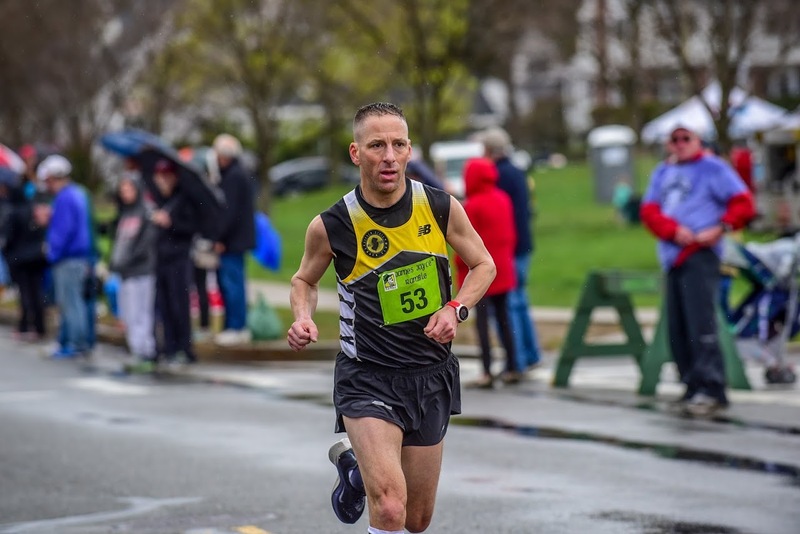 Another runner to consider is Tim Van Orden who is active on the New England Road Racing, Mountain Trail and Snow Shoeing circuits. It has been a couple of years since he has run for the Central Mass Striders in a National Championship. 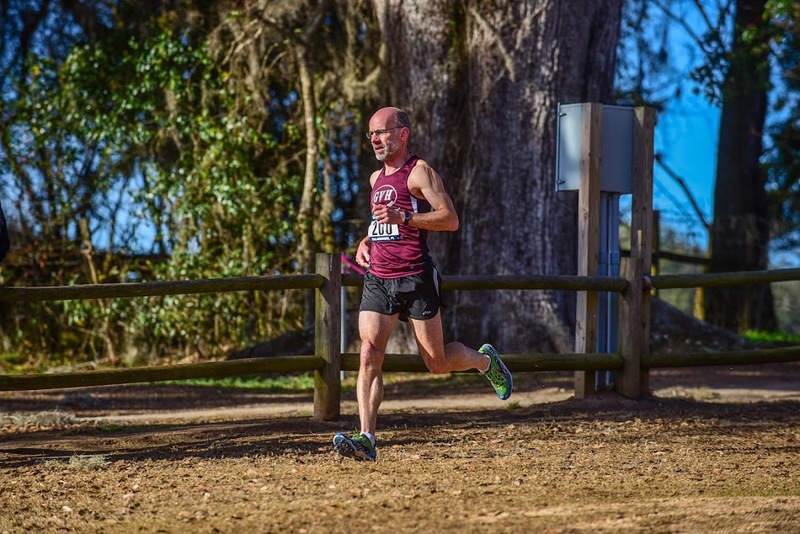 In the 2016 Club Cross Country Championship in Tallahassee he finished 7th in the M45 division and ran 8 seconds faster than Kent Lemme that year. Even if one argues that Lemme was not running quite as strongly in 2016 as he has been in 2017 and 2018, that is a hefty credential. He has run mostly trail and mountain races this year but he recently turned in a 28:43 in winning his age division at the Bridge of Flowers 8K and clocked 1:00:14 in finishing 2nd to the BAA’s Andy Gardiner in a NH 10 Miler. Novak has no recent cross country races so that lack of familiarity could keep him off the podium. But you can never count out a world champion! Mike Nier entered today, September 19. He will surely factor in the race for the 50+ title, most likely by displacing his teammate, Evans, who has typically been a few steps behind at recent events shorter than the Marathon. 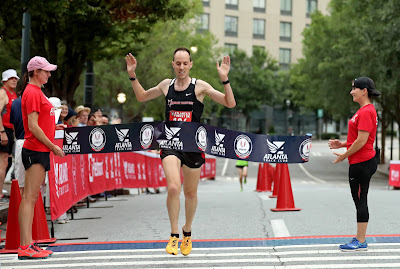 Nier's most recent National Championship race is the Half Marathon where he demonstrated his range with a 1:20:21 winning effort. At first glance, the names that jump out are Abby Dean and Sonja Friend-Uhl from the 45-49 division and Marisa Sutera Strange from the 55-59 division. 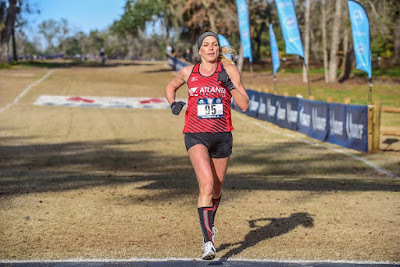 At Cross Country Nationals last February in Tallahassee, Friend-Uhl took 3rd overall in the Women’s race in the Masters division. Strange finished 4th nearly a minute back, with Dean finishing another 50 seconds back. But in the 5K this past month, Friend-Uhl had only 27 seconds on Dean at the end of the race. Strange, on what was clearly an off day, finished 2 minutes behind Dean. But at the Road Mile Masters Championships in Flint, strange showed it was a one-off problem as she finished 5th overall. Who from the 40-44 division might challenge these three? Heather Webster finished 3rd, 44 seconds behind Strange at the 8K Championships in Virginia Beach and 50 seconds behind her at the 10K Championships. 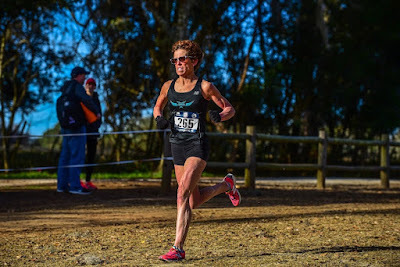 Further back, she bested Strange by 5 seconds to take 3rd overall at the 2016 Club XC Championships in Tallahassee; since then it has been all Strange. 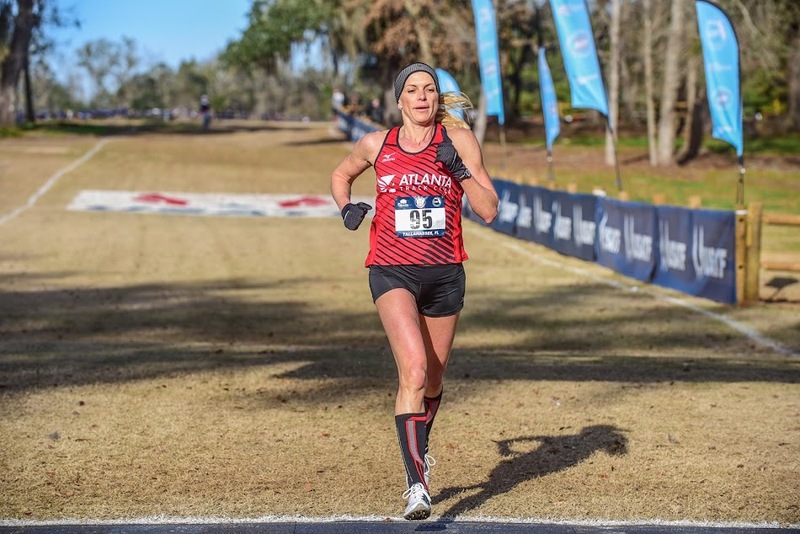 Liz Gottlieb and Kathy Wiegand always run strong for Impala and Atlanta respectively, but it would be a stretch for either to land on the overall podium. Kevin Castille is the heavy favorite. 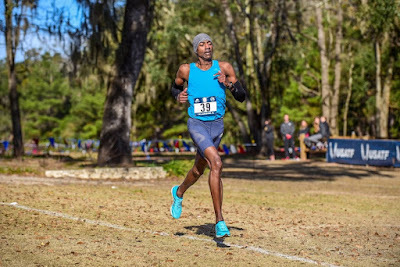 As his chief challenger, David Angell has put it, “Once Castille shows up, everyone else is pretty much running for 2nd place.” Castille’s most recent appearance at a Cross Country national Championship was earlier this year in Tallahassee at Cross Country Nationals where he took the overall Masters title by over 3 minutes! 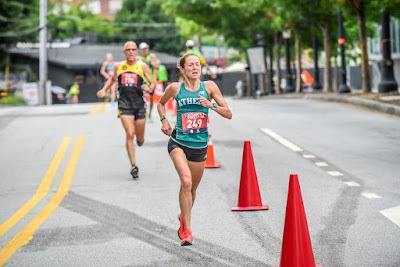 Castille’s recent races include Masters wins at the AJC Peachtree Road Race (10K) in 30:06 and at the Utica Boilermaker (15K) in 45:36. 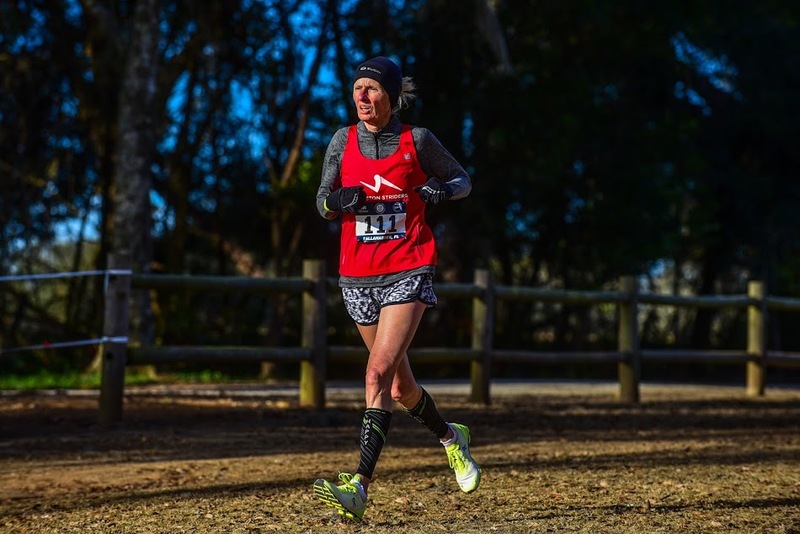 Angell is having a very strong year with wins at the 8K, 10K and 5K Masters National Championships, and there is no reason to think anyone other than Castille will be ahead of him for very long in this race. Jonathan Frieder and Philippe Rolly can stay with him for the early stages but typically Angell can throw in a surge and create a gap which he can then hold until the end. At the 8K this year, Angell finished 18 seconds ahead of Rolly and half a minute ahead of Frieder. At the 10K, Angell had a minute on Rolly and another 3 seconds on Frieder. 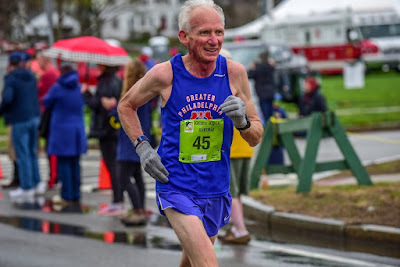 But Angell’s gaps on the Cross Country course have been larger, with Frieder over a minute back at Club XC last December, and over half a minute at the 5K Masters at Boston that fall. Frieder has been closing in on Rolly on the roads but Cross Country is a surface that Frieder needs to show he can handle at the same high level. The one meeting I can find for Rolly and Frieder on the turf was the Club XC at Tallahassee in December 2016 where Rolly had over a minute on Frieder at the finish. Men’s 40+ Although there are a number of strong runners in the division, it would be a major upset if anyone other than Kevin Castille took the top age-grading prize in this race. In road races, Castille regularly outpoints his rivals by a number of percentage points and it should be no different this coming Sunday. In the unlikely event that Castille runs into difficulty or cannot make the event, the others most likely to feature are Jonathan Frieder and Philippe Rolly. Frieder outpointed Rolly in both the 8K and 10K races this year. 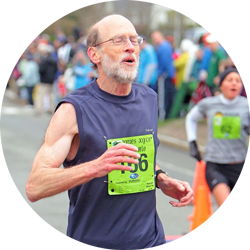 The last time Casey Carlstrom, 59, ran the 5K in Syracuse he achieved a 90.45% age grade with a 17:22. 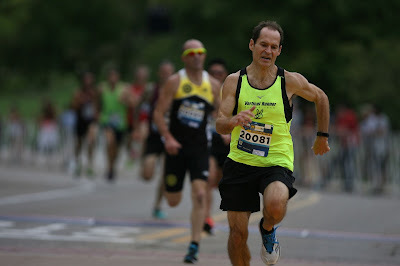 Jonathan Kline,58, just ran 17:34 at the Percy Sutton Harlem 5K. That age grades at 89.47%. 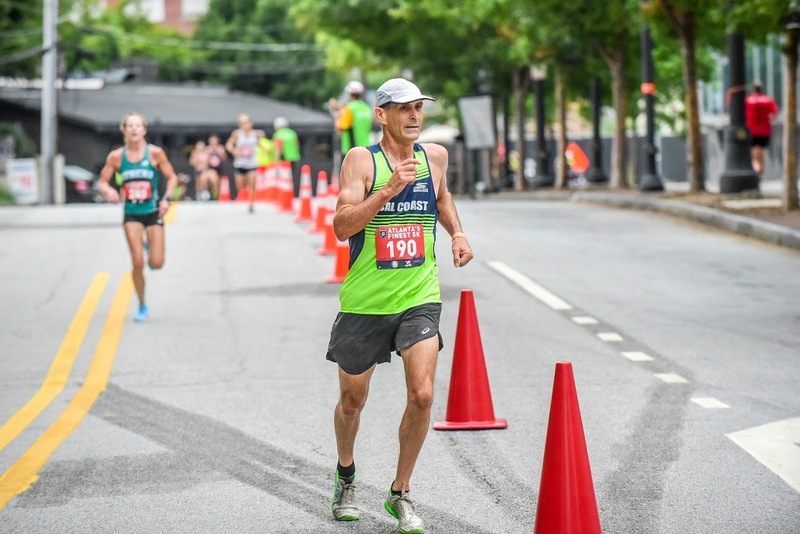 If Charles Novak, 51, can match the sub-17 5K efforts he turned it at local races in the spring, he, too, could be age grading right with Carlstrom and Kline. 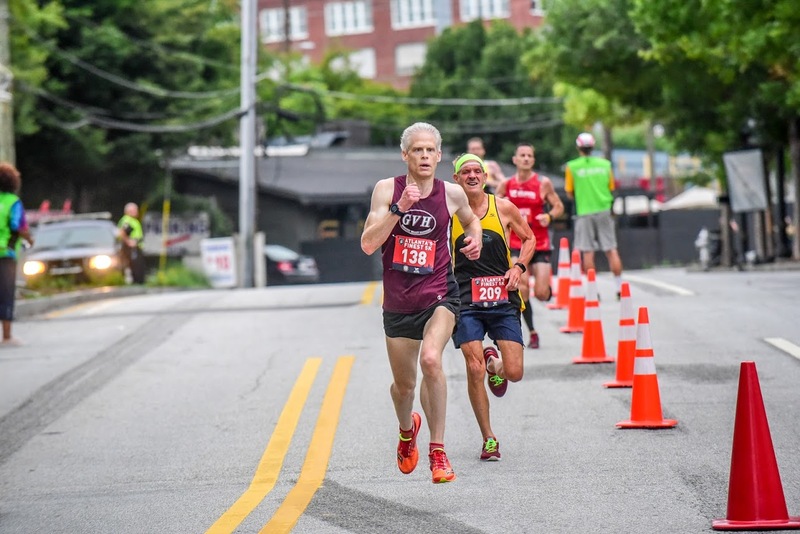 His 2nd place finish at the Masters Road Mile Championship age graded at 88.67%. 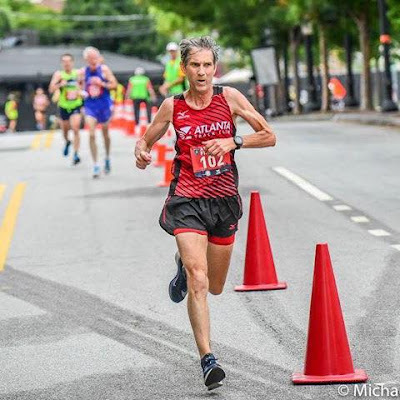 Tim Harte’s, 50, 27:20 at the Rothmann Institute 8K last fall would put him just a tick below those three. I am using these times for comparative purposes; Cross Country races typically have lower age grade scores because of footing and other vagaries of the sport. Some runners almost always run better on the turf than on the roads and vice versa. Still, these four appear the strongest contenders for the Men’s 50+ Age-Grading. Gene Dykes has age graded above 90% every time out this year at a National Championship. In the 8K he graded 91.7% with a 92.53% at the 10K-none who beat him are entered in this race. Brian Nelson, 61, turned in an 85.72 in Atlanta, with Reno Stirrat,64, and Doug Goodhue, 76, right behind him. Should Dykes run into trouble, one of those three would be likely to take his place. 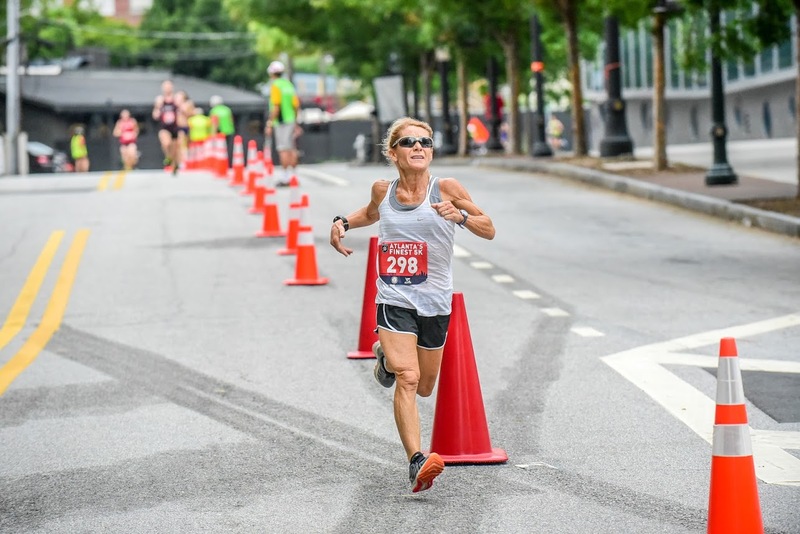 Sabra Harvey, 69, the 2017 USATF Masters Runner of the Year, enters as a strong favorite. In her road races, she is almost always close to a 100% age grade score, and sometimes over. 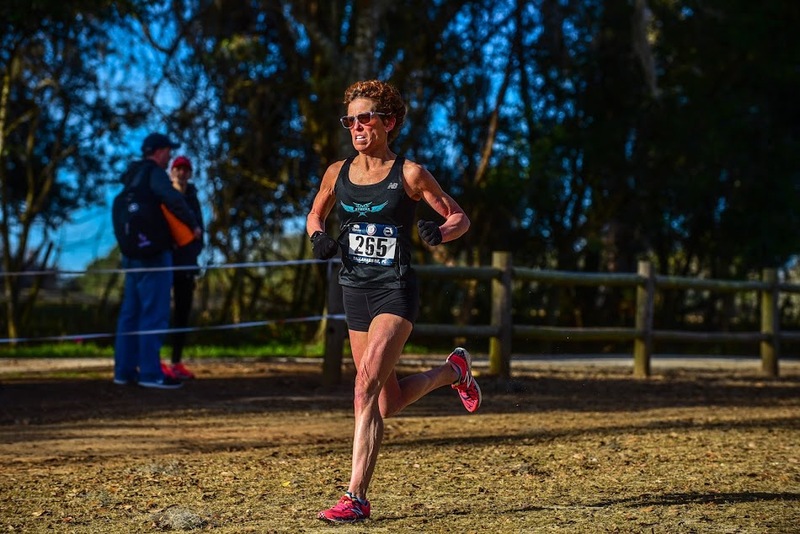 Fresh from winning two Gold Medals (6K XC and 5000 Meters) and 3 Silver Medals at the World Masters Athletics Championships, there is little doubt she is primed to run her usual amazing race. Marisa Sutera Strange appears to be back on her game after a hiccup in Atlanta for the 5K Championship. Her age grade at the Road Mile Championship in Flint 6 days later was 94.17%. Suzanne Cordes, who is entered here, was not that far behind Strange at Flint, scoring 91.18%. 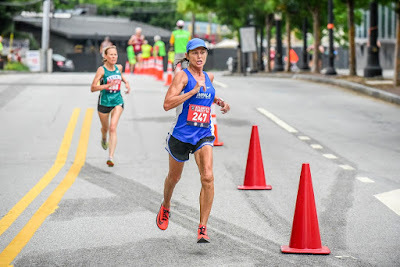 Katherine Wolski, 52, turned in an 18:55 in Atlanta to score an 89.28% ahead of Cordes. Sonja Friend-Uhl, 47, was just a percentage point and a half behind Wolski and finished about a point ahead of Cordes. Still, I have to go with Wolski over Friend-Uhl in Age Grading. Even in 2016 when Friend-Uhl won Club Cross Country, Wolski outpointed her on Age-Grading. But one should never be too sure as Friend-Uhl is tough on the turf. That is it for Race Championships and Age-Grading Champions--some close and some apparently clear cut. Next we have to actually run the races--should be exciting! Next up will be Age Division and Team Championship previews.